Phillip was concerned about finding an attorney who had extensive knowledge of the Work Comp system and would communicate honestly. He found that in Dan Jones. Phillip K.
?What are the penalties if an employer does not have workers’ compensation insurance? The workers’ compensation system uses a lot of abbreviations and specific terminology, many of which are confusing to the employees that are filing claims. Unfortunately, injured workers can see their claims delayed or denied because they do not speak the “language” of workers’ comp claims. For this reason, our attorneys have made a list of the most common abbreviations and acronyms so that injured employees can understand what’s going on at each phase in their claims. ALJ (administrative law judge). The administrative law judge is the person who will hear your case if your initial workers’ compensation claim was denied and you are filing an appeal. AWW (average weekly wage). All payments for wage losses are based on the injured employee’s average wage, calculated as a year’s earnings divided by 52. In Illinois, workers’ comp benefits are 2/3 of the worker’s AWW. IME (independent medical examination). The insurance company may require an IME, performed by a different doctor than the treating physician, to determine if the worker’s injury has caused any permanent work restrictions or disabilities. IR (impairment rating). If the injury has caused a permanent impairment, the treating physician will be asked to assign an impairment rating to each affected part of the body. For example, a worker may be given a 25 percent impairment rating to an injured leg. MMI (maximum medical improvement). Maximum medical improvement has been reached when an employee’s injuries have healed to the point where no further treatment will improve them. PPD (permanent partial disability). An employee with PPD has a permanent impairment, but is still able to perform part-time or limited work. PTD (permanent total disability). An employee with PTD has serious and debilitating permanent impairments (such as total blindness) and cannot perform any work. TPD (temporary partial disability). An employee with TPD may be able to perform light duty work while he or she recovers from a work injury. TTD (temporary total disability). An employee with TTD is unable to work while he or she recovers from a work injury. If you have been injured on the job in Illinois, we can advise you on your next steps at no cost to you. Contact the experienced workers' compensation attorneys at Tapella & Eberspacher today at (855) 522-5291 or fill out our online contact form to schedule your free consultation. How Soon Will I Receive My Workers' Compensation Settlement? 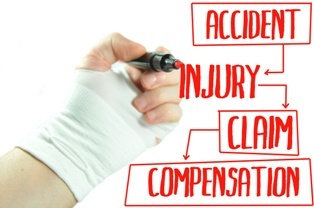 Can I Get Worker’s Compensation If I’ve Suffered an Injury at Work?